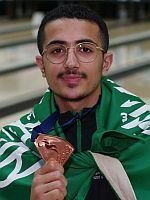 Singles competition concluded Saturday at the 2018 World Bowling Youth Championships, and both title matches were decided in the final frame. 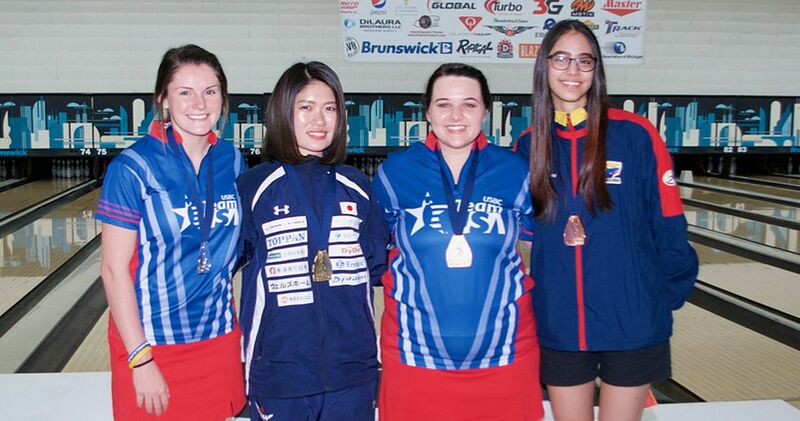 In the girls final, Japan’s Nanami Irie (left) struggled to find the pocket early in the match and was down nearly 30 pins after five frames, before rallying to a 181-179 win over Junior Team USA’s Caitlyn Johnson. 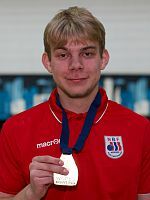 On the boys side, Georg Skryten of Norway struck once in the first nine frames of the title tilt but doubled in the 10th frame to claim the gold medal by a 181-176 margin against top seed Danylo Yatsko of Ukraine. 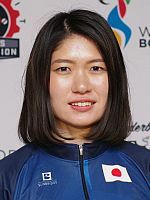 For Johnson, a 19-year-old right-hander, the past two seasons have been filled with close calls in top-tier events, but she’s still looking for her breakthrough performance. 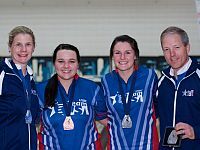 In 2017, she helped Webber International to a runner-up finish at the Intercollegiate Team Championships and then went on to finish second in the 20-and-under division at the 2017 Junior Gold Championships presented by the Brands of Ebonite International. Later in the summer, she just missed the top 10 at the U.S. Women’s Open. Against Irie at Thunderbowl Lanes in Allen Park, Michigan, on Saturday, Johnson (second from right with coaches Kelly Kulick and Mike Shay and teammate Breanna Clemmer) started the match with a double, while Irie missed the headpin to the right on her first three offerings, followed by a 4-6-7-9-10 split in the fourth frame. Johnson saw her lead shrink and then turn into a two-pin deficit as she searched for a consistent reaction on the right lane of the championship pair – the lane on which she was going to finish the match. 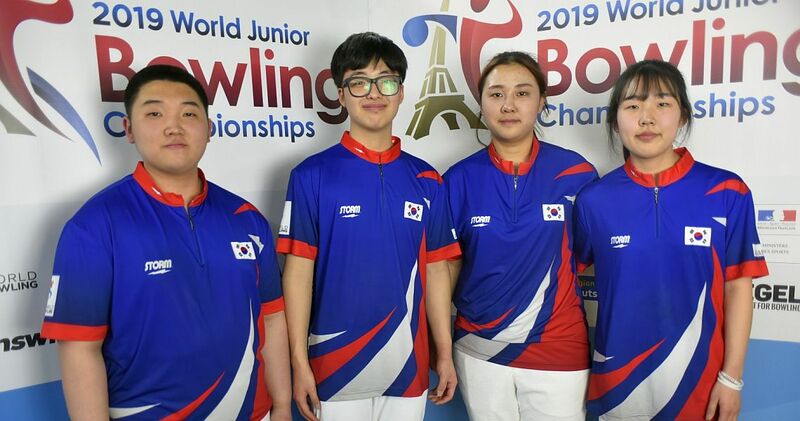 In the back-and-forth final frame, Irie (right), a 21-year-old right-hander, had an opportunity to lock up the win with a double. When she left a 10 pin on her first shot, Johnson had a chance to double for the victory on the lane that hadn’t yielded more than seven pins since her second-frame strike. Johnson’s own 10 pin left Irie needing nine pins on her fill ball to win the gold medal. When she left the 3-6 combination, Johnson had the opportunity to make her spare and tie the game with a strike on her fill ball. She left the 8-10 split on her final shot to fall short in her first international medal round. 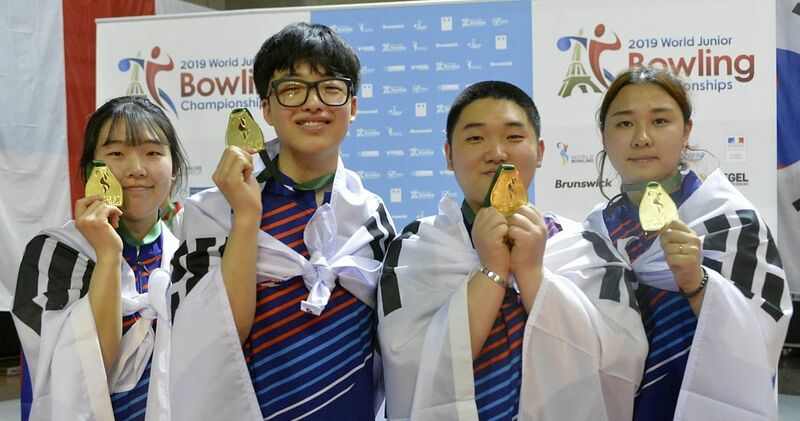 “Overall, I felt like I threw good shots, I’m happy with the way I bowled and I did my best to control what I could control, which included the approach and my emotions, even though I felt anxious and nervous going into the medal round,” said Johnson, a first-year member of Junior Team USA. 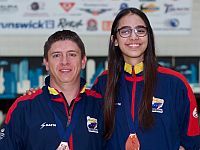 Johnson’s path to the final included a 238-201 semifinal win against top-seeded Juliana Botero (pictured with coach John Jairo Soto) of Colombia. Johnson struck five times in the first six frames, and nine times overall, in the victory. 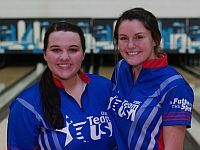 Irie earned the meeting with Johnson by defeating Junior Team USA veteran Breanna Clemmer (left with Caitlyn Johnson) of Clover, South Carolina, 246-229. 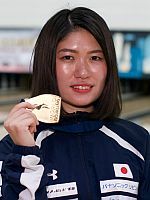 Both players were clean in the match, but four consecutive strikes from Irie in frames five through eight proved to be the difference. 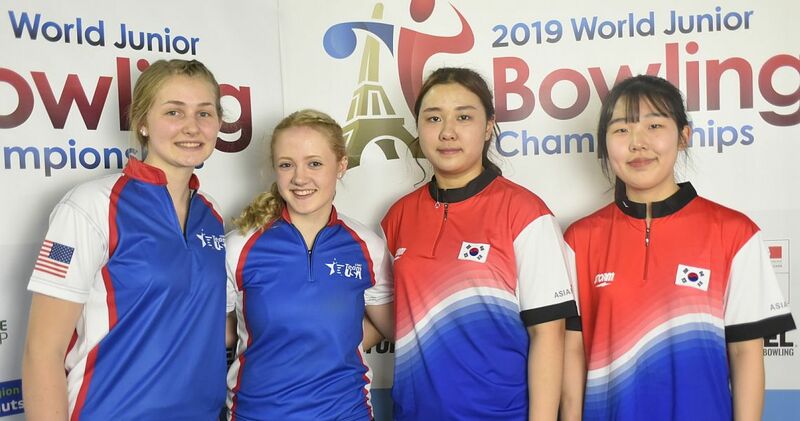 “We didn’t win today, but we learned a lot about the lanes and how our equipment was working, and it kept us really connected as a team, especially as we were pushing for each other to win,” said Clemmer, a five-time member of Junior Team USA, also participating in her first World Youth Championships. 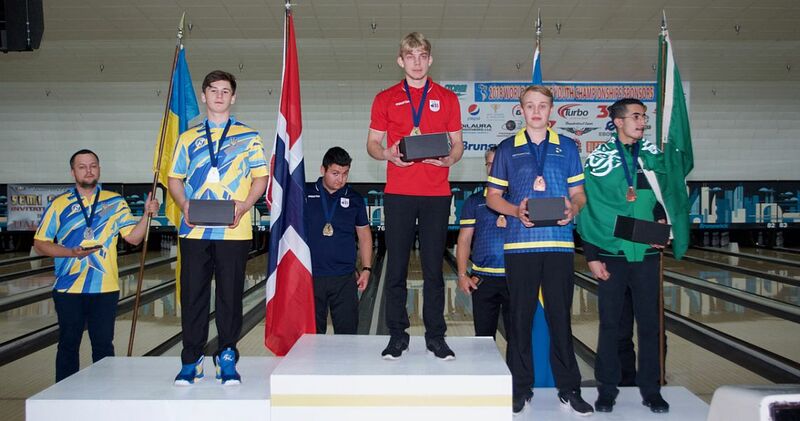 In the boys final, it took four frames to see the first strike of the match, and Georg Skryten‘s (left) clutch double in the 10th frame earned Norway its first singles gold medal in World Youth Championships competition. 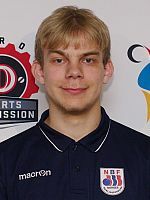 The country’s only other gold-medal effort came in the Masters event at the 2006 tournament (winner Mads Sandbækken) in Berlin, and Norway last medaled in 2008. 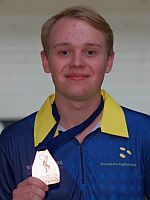 Skryten, an 18-year-old right-hander, rolled one of the two perfect games during Friday’s qualifying round, also the first of his bowling career, and he hoped that momentum would carry into Saturday’s championship round. 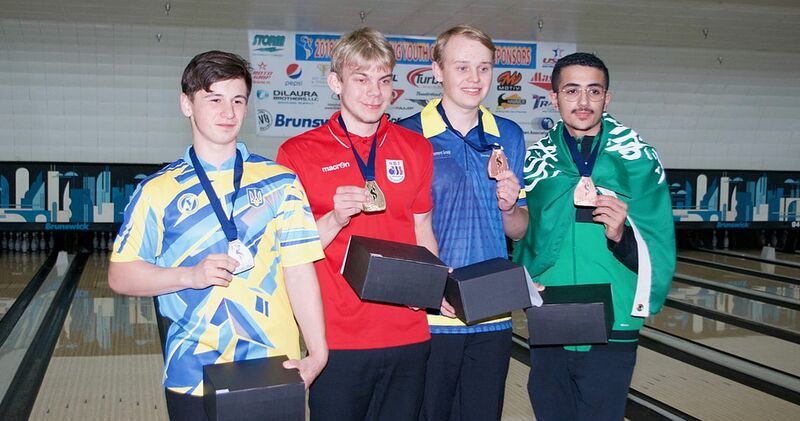 On the way to the boys final, Skryten struck six times in a 227-166 win over Sweden’s Alfred Berggren (right), while Yatsko (left), an 18-year-old two-hander, tossed seven strikes of his own in a 232-197 win against Abdulrahman Alkheliwi (below right) of Saudi Arabia, who had the other perfecto. 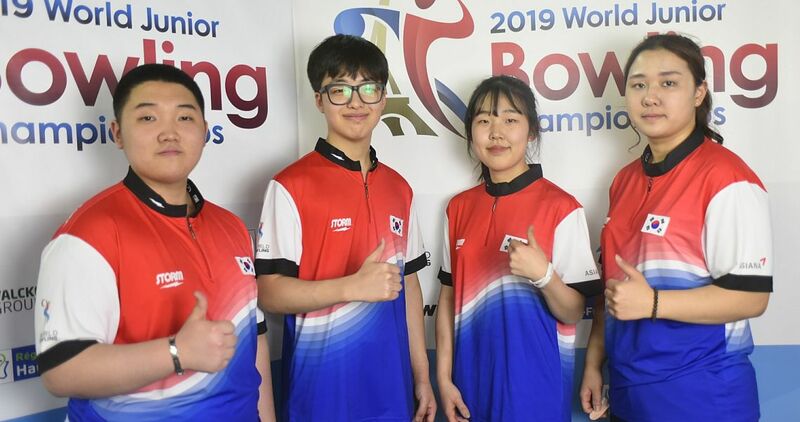 The competitors at the 2018 World Youth Championships will be back on the lanes Sunday and Monday for doubles qualifying, and the coveted team titles will be on the line Tuesday and Wednesday. The event’s top performers will advance to Masters match play Wednesday and Thursday. 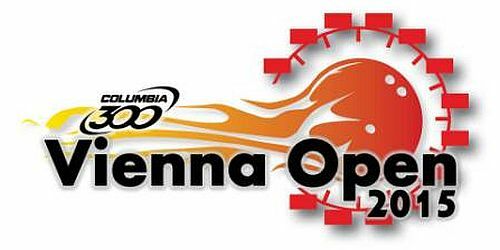 The event is held every two years, and the 2018 edition has brought 214 competitors from 37 countries to the Detroit area to bowl for medals in singles, doubles, team, all-events and Masters competition. 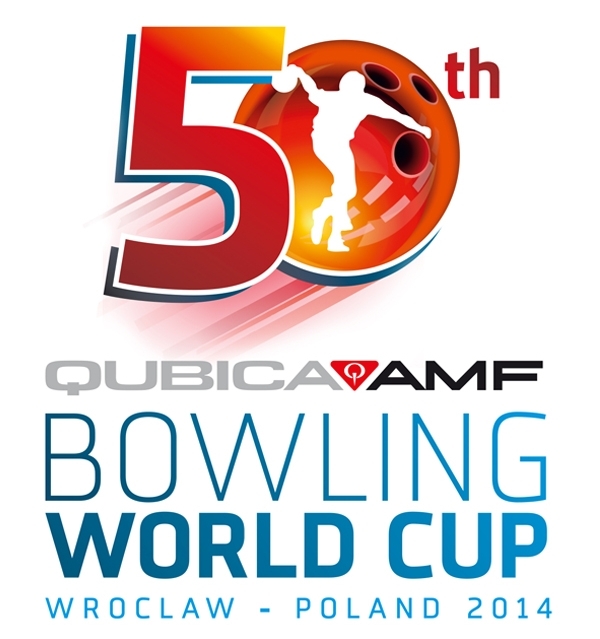 World Bowling is providing livestream coverage of the event, and bowling fans from around the globe will be able to watch the competition live from start to finish. 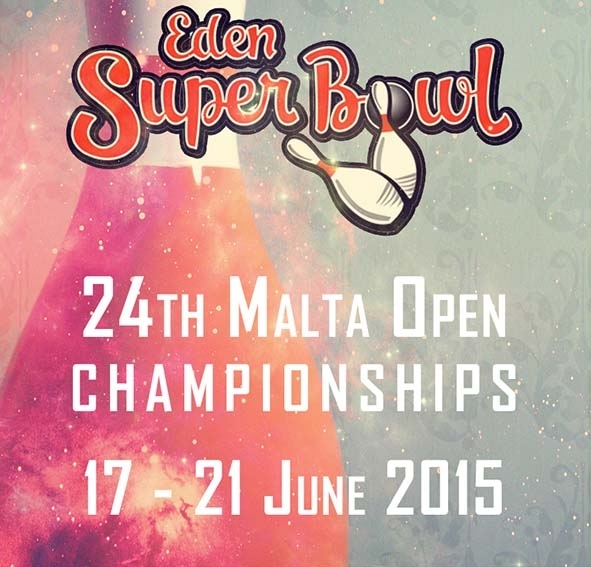 Coverage will include all qualifying, semifinal and final rounds. 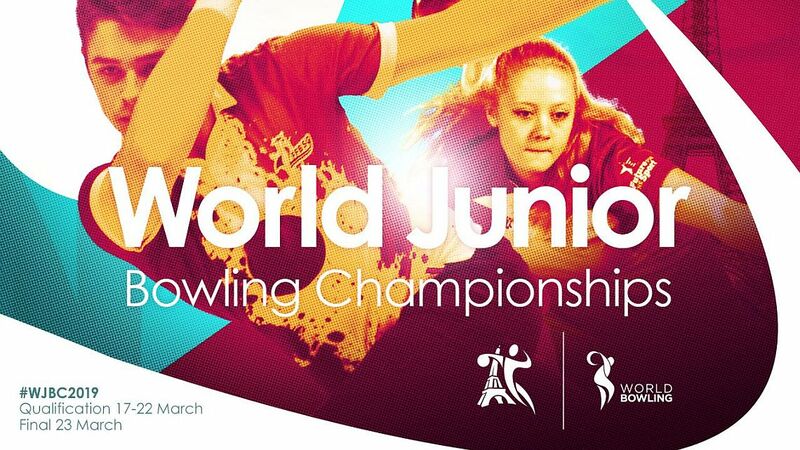 For more information on the 2018 World Youth Championships or to watch the livestream, click here. 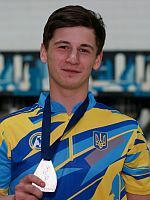 Photos courtesy of Max Bulanov. Boys’ Singles medalist from left: Danylo Yatsko, Georg Skryten, Alfred Berggren and Abdulrahman Alkheliwi. Championship: Skryten def. Yatsko, 181-176. Girls’ Singles medalist from lefts: Caitlyn Johnson, Nanami Irie, Breanna Clemmer and Juliana Botero. Championship: Irie def. Johnson, 181-179. Players with position, country and 6-game total. Top 4 advance to the medal round. Pos Players Country G1 G2 G3 G1-3 G4 G5 G6 G4-6 Total Ave.